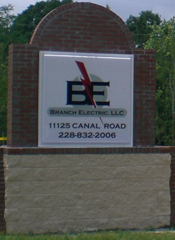 Welcome to Branch Electric, LLC. We are glad you took the opportunity to check us out on the internet! Roger Branch founded Branch Electric in 1995 in Biloxi, Mississippi. Less than a year later the business relocated to Gulfport, Mississippi. During this time the business was reclassified to Branch Electric LLC. Roger started out as an electrician in 1973 in Hattiesburg, Mississippi wiring houses. In 1988 he worked for an electrical contractor where he learned all aspects of the electrical contracting business. © 2008 Branch Electric, LLC.